Saxo Bank aims to provide technology to traditional banks and fundamentally change the user experience. 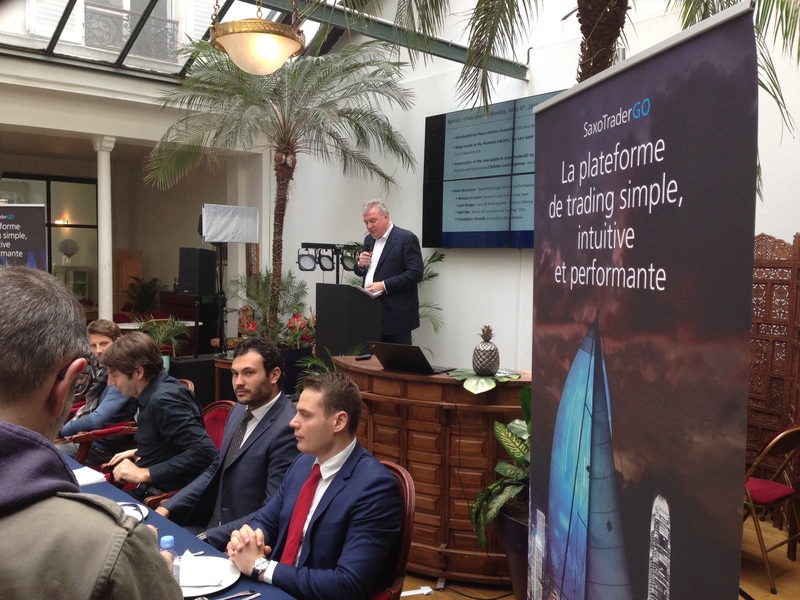 Saxo Bank has unveiled its newest multi-asset trading platform, SaxoTraderGO, in Paris today, which looks to fortify an already robust offering for both desktop and mobile users, according to a Saxo Bank statement. Late last month in preparation for the launch, Saxo Bank tapped Corvil for its data analytics platform to provide itself with end-to-end trading data monitoring. Saxo will be utilizing Corvil’s platform to monitor market data, network and application flows in real-time, whilst identifying potential inconsistencies as they occur to ensure a consistent and secure trading and pricing environment. The new SaxoTraderGO platform was engineered specifically with a focus on usability and performance, integrating effortlessly through its unique design to both desktop and mobile devices. The primary impetus behind catering to mobile users was represented by Saxo’s user trends which found that 20% of bank’s overall retail trading takes place through mobile devices. SaxoTraderGO also boasts a streamlined navigation utility and a distinct separation between pre-trading, trading and post-trading services. Furthermore, Saxo has targeted performance as one of its primary goals, whereby improving in this area via the employment of advanced network acceleration and technologies such as WebSockets. 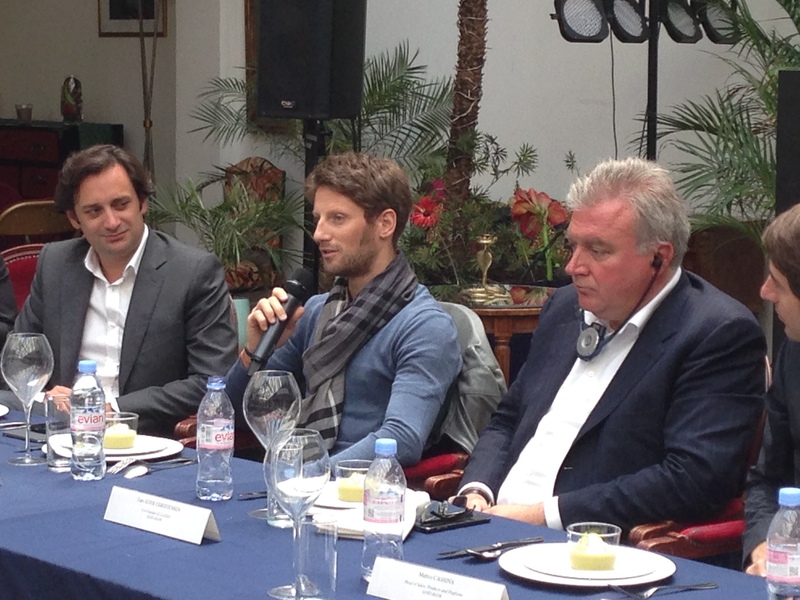 Saxo is targeting a rapid roll-out across all the markets following its launch today in Paris. Saxo Bank’s co-Founder and co-CEO Lars Seier Christiansen spoke exclusively with Finance Magnates reporters that the company is aiming to transform the relationship between traditional banks and their customers. “As major banks are slow to adopt new technologies due to their scale, Saxo Bank’s new platform SaxotraderGo targets to make a bridge between high-grade user experience of clients engaged in trading activities,” he noted. According to Saxo Bank’s EVP and Global Head of Sales, Products and Platforms, Matteo Cassina, in a recent statement on the launch, “We know from our extensive research that Saxo Bank’s new breed of client wants a faster, better and more intuitive trading experience, and through this platform we are enabling them to be more nimble and active in the markets. We want to help them seize trading opportunities regardless of where they are. “Saxo Bank and its founders have been a disruptive force in the industry for a long time, and far from resting on our laurels we continue to believe in positive disruption through innovation. Last year, Saxo Bank launched the world’s most ambitious multi-asset social trading platform with TradingFloor.com. This time, we are not only delivering to our clients the most intuitive multi-asset trading platform available, but we are also laying the foundations of the trading platform of the future,” Mr. Cassina added. In particular, today’s launch also highlights the strength of Saxo bank’s OpenAPI technology – indeed, SaxoTraderGO draws upon well-documented REST-based interfaces, the Saxo Bank OpenAPI. As a result, this API will serve as an integral foundation for all future internal client trading platform developments at Saxo.